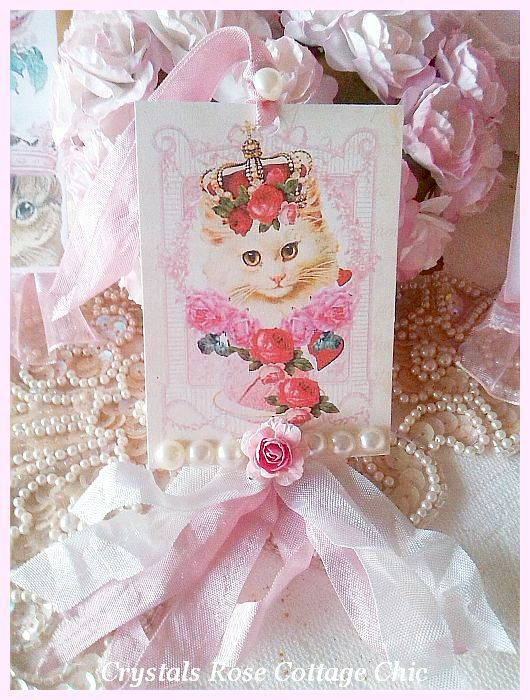 Beautiful, vintage cat tag with roses and a royal crown. There's even a sweet slice of yummy, pink cake! It's embellished with pearls, a lovely, pink paper rose and vintage seam binding. 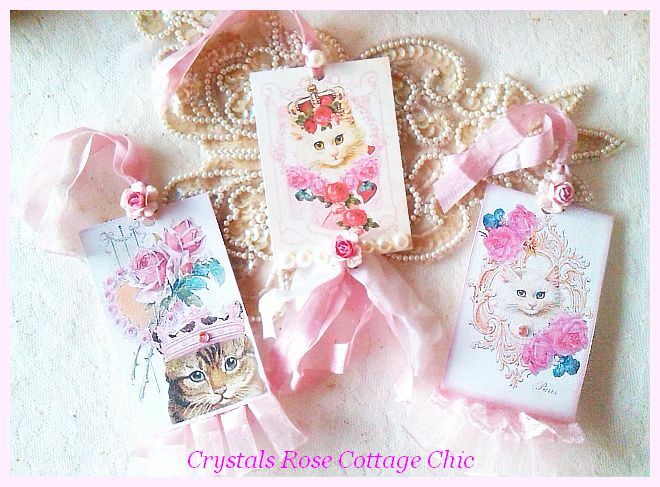 So purrfectly sweet for the cat lover ! Other cat tags available as seen in second picture. Free shipping!